Iraqi forces have pushed back Islamic State group militants from the Baiji oil refinery, the largest in Iraq, the Washington Post reported Saturday. The refinery has been under siege for a month by the group formerly known as ISIS, with the two sides fighting for control of the important asset. Iraqi officials reported Islamic State fighters were retreating, but it is unclear whether their own forces are able to enter the refinery, the Post indicated. Backed by U.S.-led airstrikes, Iraqi forces recaptured large parts of the town of Baiji Nov. 9, but have yet to retake the refinery because of a booby-trapped road that has slowed the advance of Iraqi troops, BBC News reported. 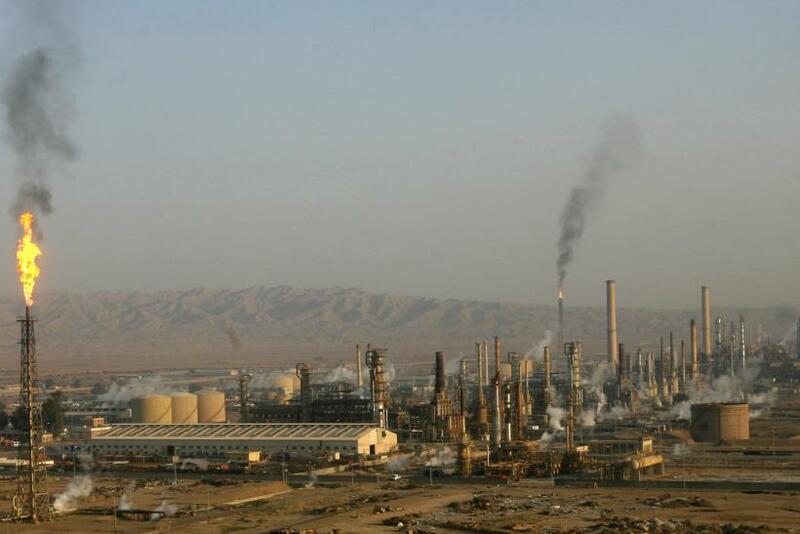 Heavy fighting around the refinery continued throughout the week, with Iraqi troops advancing on the site Friday. Police Brig. Gen. Khalil Ramal Ahmed said as many as 400 members of the police force had infiltrated the refinery, while a representative of the Shiite militia Asaib ahl al-Haq, allied with Iraq, said ISIS fighters were retreating, but that Iraqi troops had yet to fully lift the siege, the Washington Post reported. Islamic State militants attacked the refinery in June, disrupting petroleum supplies in the country, which led to fuel shortages and higher prices. If Iraq can recapture the Baiji oil refinery and all the surrounding area, it could provide a strategic boost in the efforts to drive ISIS out of the country, according to Hugh Sykes, a BBC News correspondent. Baiji is located between Baghdad and the Islamic State-controlled city of Mosul: Iraqi forces could use the town as a base to disrupt the militants’ supply route to Tikrit. U.S. Army Gen. Martin Dempsey, chairman of the Joint Chiefs of Staff, made a surprise visit to Baghdad Saturday, Reuters reported. Dempsey’s visit included meetings with Iraqi officials to discuss ISIS and a U.S.-led training program scheduled to start next year. Dempsey was optimistic about recent advancements against the Islamic State, but said it would take years to drive the group out of Iraq.